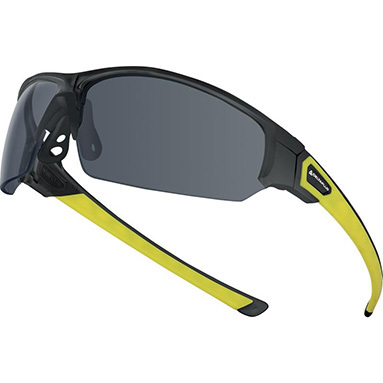 Aso Smoke Safety Glasses - Delta Plus. Polycarbonate glasses - smoke colour. Polycarbonate/ TPR bi-material arms: flexible and non slip. D-Pad: adjustable nose piece. Universal fit. N Anti-mist & K Anti-scratch treatment. Certified to protective standards EN166 and EN172.